The F60 treadmill is one of the newer editions to the SOLE lineup and available in a very affordable price. With a strong 2.75 chp motor and a large 20" x 60" running deck with cushion flex suspension and easy-assist folding, the F60 is well on its way to becoming another SOLE best seller. Along with design value the F60 comes with 10 standard programs and a very detailed, informative display console, that will provide users with beneficial feedback during and after workouts. *Note: Most of the sites, stores or shopping portals listed above sell Sole F60 Treadmill with discounts and other exciting offers. There is a possibility that the some of above websites are not selling Sole F60 Treadmill now. Toughtrain.com is not liable for such cases or instances. 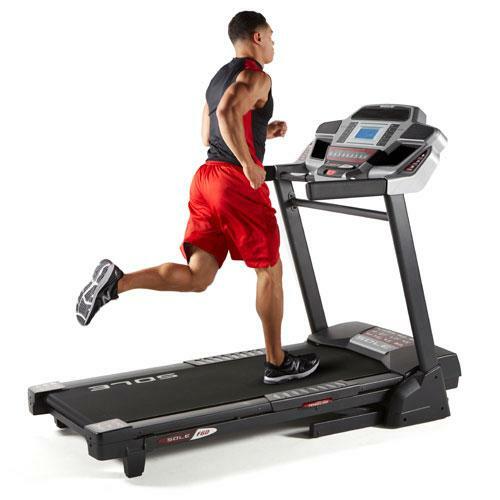 Also we do not recommend any seller for Sole F60 Treadmill and a buyer should buy from where he/she gets best deal with quality of products, service and on time delivery (shipment).